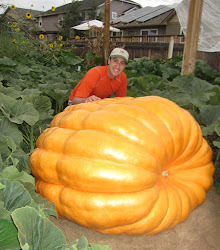 One of the regular questions that I am asked is how do I get my pumpkins to the weigh-off. My good neighbor, whose land I grow on is a Denver excavation contractor who has heavy equipment. I've been fortunate enough to be able to use that equipment to lift the pumpkins using a pumpkin lifting ring (big metal bar with seat belt type straps that come off of it). In the early days I used a pumpkin lifting tarp and a lot of man-power but the pumpkins have gotten too big for that now. Recently I measured my pumpkin and found that it was a foot wider and longer than the pallet that I put the pumpkin on so that they can unload the pumpkin at the weigh-off. 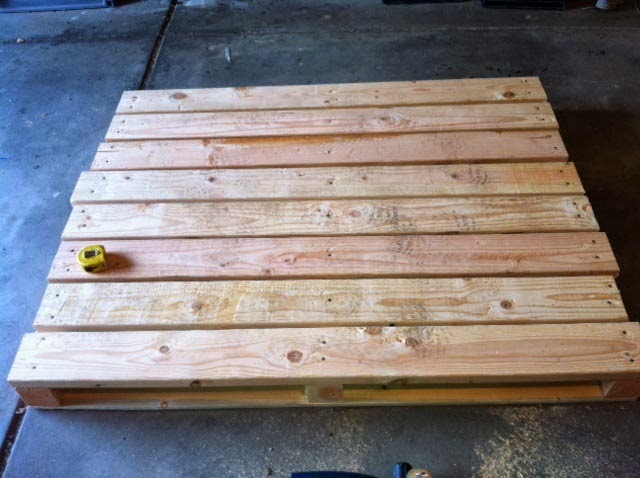 So today I built a new pallet. A carpenter I am not, but this pallet should work just fine. The pumpkin will just fit the pallet at 5 feet wide and 4 feet long. This evening I did a foliar application of seaweed and 0-0-1 on all of the plants.